How to buy a suitable wood chipper with reasonable price online is becoming a common concern of different wood processing plants, such as timber mills, wood pellet plants, etc. With the rapid development of e-commerce, people can find almost everything online. Also, e-commerce makes the world without barriers, you can easily find wood chipper manufacturers around the world. Every wood processing plant investor wants to find the wood chippers with good quality and competitive price. But to buy such an industrial equipment, we still suggest you pay an actual visit to the factory before you place an order. Below are several factors that we thought might be helpful when you are choosing wood chippers online. Wood chipper is not the only type of machine that can be used be crush wood materials. Do you really need wood chippers, or is there any other type of wood crush machines suitable for you? 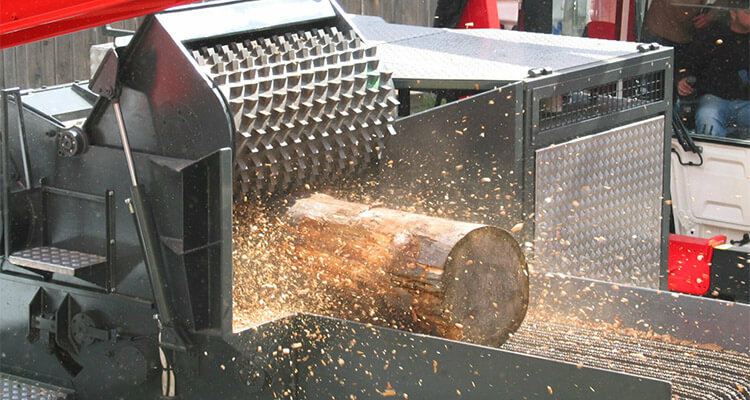 There are two indicators when choosing wood crush machines. One is based on the raw materials. During wood material crushing process, the sizes and properties of different wood materials affect the choice of wood chippers. Normally, wood chippers can process wood materials with a diameter of 60cm, it can also crush some leftover materials. 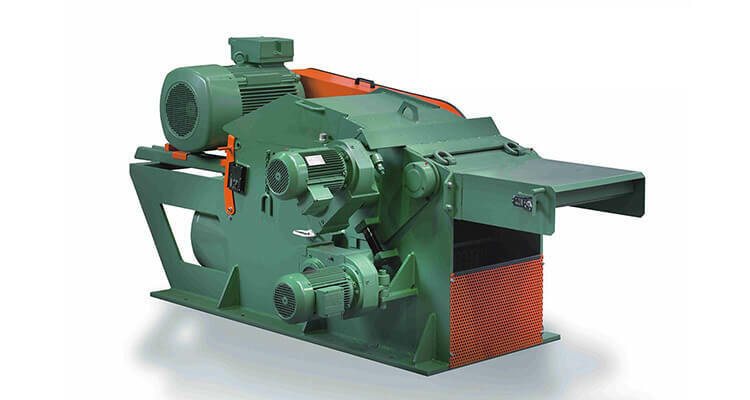 If you have much smaller raw materials, you can use hammer mills, which is also a type of wood crush machine that can process wood materials with a diameter of 5mm. The other indicator is the finished product requirements. Wood chippers can process large wood materials, and the finished products have a diameter about 5mm. For some timber mills, the 5mm wood materials are small enough. But for wood pellet plants, 5mm wood materials can not be fed into pellet mills directly. Therefore, hammer mills can help process the wood chips into small wood powders that can be fed into pellet machines directly. Different plants have different production requirements. Make sure what type of finished product you want to make, then you can find the most suitable wood chippers and hammer mills for your plant. 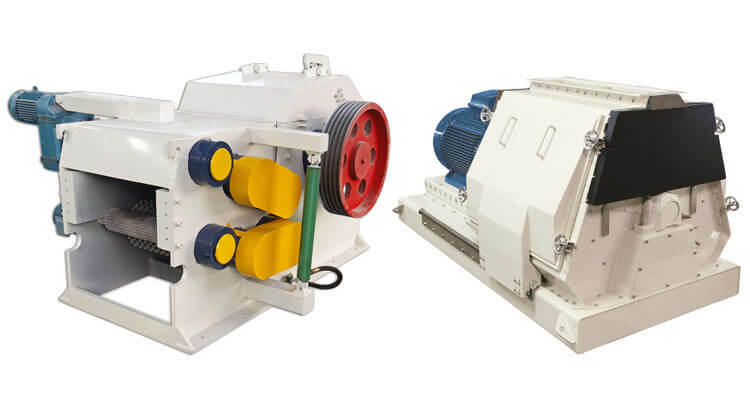 The structural layout of wood chippers is the same with other wood crush machines, which is consist of the chipping device, crushing device, and fan blower (large wood chippers have the dust removers on fan blower). The chipping device can be divided into three sections (upper section, middle section, lower section), rotor, and hammers. 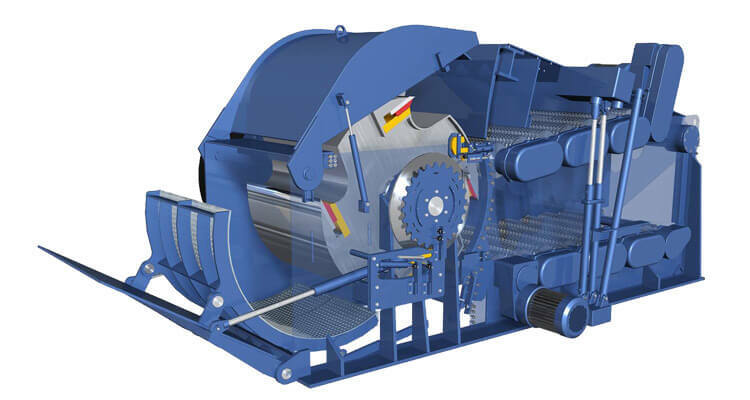 The crushing device consists of the crushing chamber and the blades. The fan blower section consists of the fan blower, dust collector and dust remover. One of the main parts of wood chippers is the electric motor. Normally, the electric motor for wood chippers is assembled with import bearings which can ensure the electric motor been well lubricated when the electric motor under high-speed rotation process. In that case, the electric motor of wood chippers will not be damaged by overheat problem. There are some wood chippers online with very attractive price. In order to lower the cost, these type of wood chippers uses cheap bearings with poor quality. Although the price of these wood chippers is cheap, the wood chipper serve life is short, too. Normally, there are three types of blades used in one wood chipper. During the crushing process, wood chipper rotors create high-speed airflow, and the wood materials are accelerated by the airflow. After the repeatedly crush and rub impacts, wood materials have been crushed by three different types of blades at the same time. Then the crushed materials will enter the analyzer under the effect of the airflow. In the wood chipper analyzer, there are two types of force, the centrifugal force of the rotor and the centripetal force of the airflow. Therefore, when the centrifugal force is greater than the centripetal force, small wood materials will enter the wood chip collector and the large ones will enter the crushing chamber again. In that way, the wood materials can only enter the collector till it has the required size. Step 1: you have to examine the wood chipper power socket, plug, and power lines, see if there are any cracks or any paint falls off. If the power socket, plug, and lines are in good condition, you can plug in the power, and have a test-run of the wood chipper. Step 2: examine the electric motor. If the wood chipper electric motor doesn’t move after electrified, but it will rotate when you touch the impeller, it means one of the two wood chipper starting capacitance is invalid. In this case, you have to change a new one. There is another situation may occur. If the wood chipper electric motor doesn’t move after electrified, and after the external force interferes, the wood chipper electric motor rotates but with a faint current noise, it means there is a slight electric leakage of the wood chipper starting capacitance. If the current noise is too loud, and the electric motor can not start, it means the wood chipper staring capacitance short circuit. Step 3: examine the lubrication condition of wood chipper bearings. If any part is lack of lubrication oil, please add some lubrication oil right away.